Things will get better when my train journey to Manchester improves as HOME offers the best choice of films on most days. The number of film screenings in cinemas fell for me this year. I think that was mainly due to the lack of diversity in the local screenings available and the unfortunate timings of some of the festivals I usually try to attend. It’s true that I did spend more time on the streaming site MUBI (although recently I’ve been very disappointed at the range of films on offer) and also on YouTube catching up with classic Hollywood. I’ve also spent time watching Talking Pictures TV, perhaps the best thing that has happened to UK Freeview television in the last few years. The rise of Netflix and Amazon as general film and TV streaming sites is increasingly problematic for me, though I recognise that my friends are getting to see a wider range of films, especially if their local cinema scene is even worse than mine. However, the recent furore over the (very) limited cinema screenings of Roma and other Netflix productions is very disturbing. The BBC offered us both Mark Kermode and Neil Brand on BBC4 in 2018, focusing on questions of genre and music in film/film musicals. Both series were intelligently produced and presented by an experienced film journalist and practitioner respectively, both whom are passionate and enthusiastic. That must be a plus. BBC1 have just announced that its Film programme (which usually just took the year as the second part of its title) has been axed. Film 2018 coughed its last some time ago in that dishonourable way that schedulers employ – pushing a programme later and later in the schedule until what’s left of its audience have no idea where it is. We are promised something new on both broadcast and online BBC platforms in 2029. Is it too much to hope that BBC executives will learn from Kermode and Brand? Here is a list of some of the films that I found most interesting and enjoyable this year. If there are titles missing that you expect to be there, it probably means that I haven’t seen them (e.g. those by Ceylan and McQueen). I’ve listed the films in alphabetical order so there are no preferences displayed. The only title we haven’t blogged about on this site is The Hate U Give which I hope to revisit when the DVD appears in 2019. I saw it with Nick and we were both stunned by its impact and therefore in a year when African-American cinema saw a resurgence, it deserves a mention. Happy as Lazzaro should get a UK release in the Spring but I’m not hopeful for Winter Flies – East European films seem to be very hard to sell to UK cinemas. I saw six of the films here at festivals, but four of them were subsequently released in the UK. All the films in the list were screened at least once in a UK cinema in 2018. In 2018 I was also pleased to be prompted to explore the career of Ida Lupino as actor/writer/producer and director – thanks Glasgow Film Festival. I was also pleased to celebrate Agnès Varda’s career watching Le bonheur (France 1965) and L’Une chante, l’autre pas (France 1977) on DVD as well as Faces Places. On the negative side I didn’t see any standout British films or Chinese Language films this year. Many British independent films are increasingly difficult to see and Chinese independent films are similarly hard to find. Six out of fifteen the films here are directed by women. I fear for the diversity of films on offer in 2019. I hope I’m wrong but I think finding foreign-language films may become more difficult. When I venture out of the beleaguered land of Brexit I always look on the Europa Cinemas website to check out the most interesting cinemas in the cities I hope to visit. On a recent trip to Bordeaux I discovered the aptly named ‘Utopia’. The Utopia is situated in Bordeaux’s UNESCO World Heritage district – the entire early 18th century city centre with more listed buildings than any other French city outside Paris. ‘Utopia St. Simeon’ is housed in a former church and offers 5 salles distributed around the building. There are 555 seats distributed across the 5 screens. The cinema opened in 1999. There is also a large and friendly bar-restaurant and tables outside in the square. It’s a great place to visit and just enjoy the atmosphere but it’s the programme which provides the real joy. Scanning through the programme for September 2018 is a real eye-opener for a UK cinephile. There are films that have been big prizewinners but are yet to open in the UK such as Nuri Bilge Ceylan’s The Wild Pear Tree (Turkey 2018) and new films from France and Germany that I doubt will appear in the UK. There are documentaries and programmes of short films and animations and there are re-releases. In France re-releases seem to get much better distribution than in the UK and the programmes seem to be more ambitious. Utopia showed Edward Yang’s A Brighter Summer Day (Taiwan 1991) in the uncut 236 minute version, Joseph von Sternberg’s Japanese film Anatahan (1953), Joseph H. Lewis’ Gun Crazy (US 1950) and a day of polars with three Jean-Pierre Melville films and a Tikano Takeshi. Spike Lee’s BlacKkKlansman and other independent American releases are joined by new films from Kurosawa Kiyoshi and one of several events remembering May 1968. I was most surprised to see details of a 2012 Belgian documentary about the great Lancashire classical singer Kathleen Ferrier (1912-1953) with a Q&A with the film’s producer. 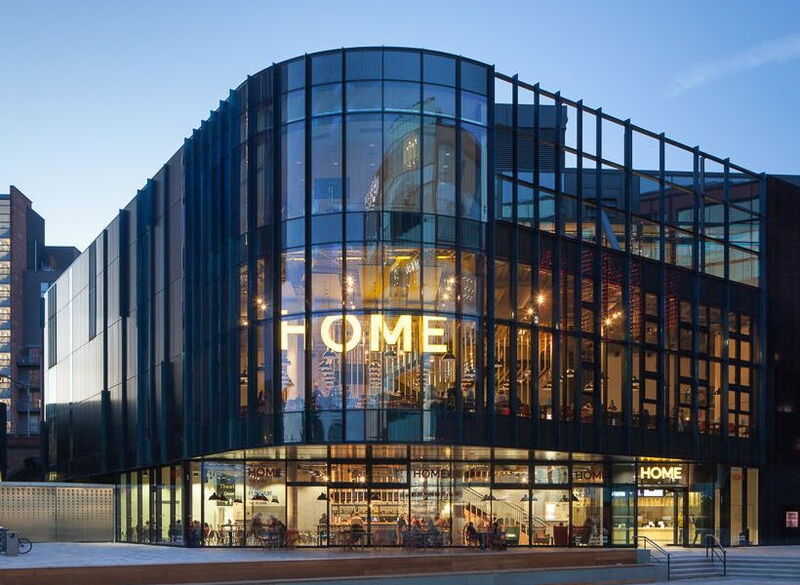 Thinking about it carefully, the programme is not that dissimilar to HOME in Manchester, a much bigger enterprise with the same 5 screens (but also theatre spaces and galleries). But I would argue that there are more foreign language films and a greater diversity of films in general. The one difference is that in the UK, without as much funding support, independent cinemas are forced to show the more commercial US and British pictures, the so-called ‘Hollywood art’ or ‘awards films’ to cross-subsidise foreign language films. In France it would seem that ‘cultural cinema’ still survives and the commercial releases are in the multiplexes, three of which are relatively close to Utopia in the centre of Bordeaux with around 38 screens between them. 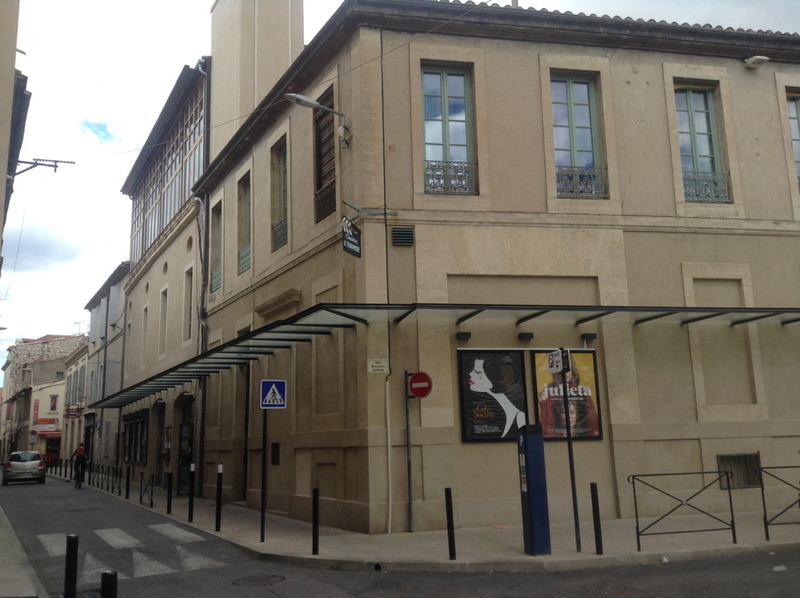 There is a second Europa Network Cinema, Cinéma Jean Eustache in Pessac outside Central Bordeaux. This also has five screens. At the time of our visit, I decided to see Leave No Trace for the second time (my partner was seeing it for the first time). The film was in its opening week at the Utopia, one of the few films on the programme that got a UK release before France. The film shows up very well on a second viewing and confirms its position as one of my films of the year. The screening followed the French pattern – a single trailer for a new French film starring Romain Duris (Nos batailles, France 2018, which looked interesting) and then straight into the feature with no ads or exhortations to join a membership scheme. The standard ticket price is €7 and the morning matinée is just €4. 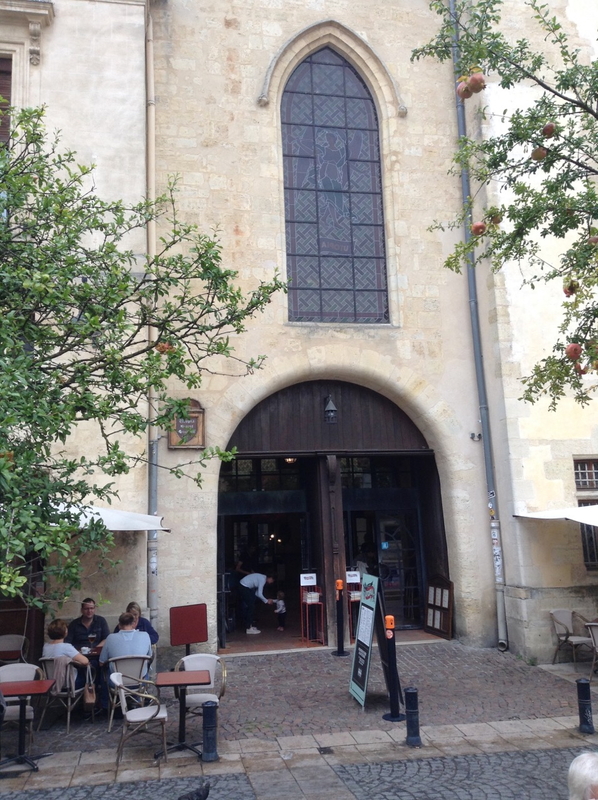 If you visit Bordeaux, do look up the Utopia, it’s only a 100 metres from the main shopping street. If there isn’t a film you want to see it’s still worth soaking up the atmosphere and having a beer or a coffee. If you are travelling to Europe, the Europa Cinemas Network is a great resource, listing 1121 cinema in 677 cities in 44 countries. As the number of countries suggests, the network extends beyond Europe into Asia and there are three Europa cinemas in Quebec. The aim of the network is to promote the exhibition of European films and to encourage understanding by audiences, especially younger audiences. The network model offers member cinemas support and funding via the Creative/MEDIA and Eurimages programmes in exchange for programming with a significant amount of European film screenings. Several events have taken place in Leeds and I attended a screening of In the Intense Now / No Intenso Agora (João Moreira Salles, Brazil, 2017 ) at the Hyde Park Picture House. This is a documentary about 1968 but offering a distinctive approach. A compilation documentary it uses home movies from Salles’ family and found footage from films of the period, amateur film footage and some material from television, radio and printed sources. Some of the film soundtracks appear in the film but for most of the running time there is a commentative voice of the director. The film is in black and white and colour and in the Academy ratio: it is good to see a film where the makers resists the conventional re-framing of archive footage. This is a fairly subjective but sympathetic revisiting of Paris in May 1968 and parallel places and events though the parallels are those felt by the director. The film opens with footage from a home movie shot by the director’s mother on a visit to China in 1966 followed by film of events in Prague in 1968 and then some more home movie, this time in a street in Brazil. These signal some of the preoccupations of the film-maker, though they are only clarified as the film progresses. The footage from China was filmed during the Cultural Revolution and features Red Guards who are surprisingly friendly to these bourgeois tourists. The footage from Brazil shows family members but also, as the narrative voice points out, the class situation in which they live. The first part of the film is mainly devoted to events in Paris in May 1968. The film more or less follows the chronology of events but this is not a history of that month but a series of fragments that give a sense of what happened and offer [as one review suggested] ‘radical romanticism’. Certain characters occupy the centre. Thus we see and hear General de Gaulle at the New Year of 1967; twice towards the end of May 1968; and finally at the New Year 1968. On television he seems a relic from the past but on radio he is the voice of tradition and moderation. The film thus includes television coverage of the mass demonstration of conservatives that followed the radio broadcast. There is also ample coverage of Daniel Cohn-Bandit, mainly on film but also on radio. There is a certain identification with Daniel but also a strong note of irony as the film records his rather doubtful con-operation with ‘Paris Match’. And there is much film of the students, the workers and the street clashes that filled the city. Part 2 includes more material from Paris but also extended coverage of the suppression of ‘The Prague Spring’ by the armies of the Warsaw Pact. Later in the film there is coverage of the funeral of Jan Palach, the student who immolated himself in protest. This leads into a series of films that deal with death and burial. These include a student who died in a protest in Rio de Janeiro in the summer of 1968; a suicide by a student during the protests in Paris; and a policeman killed during a demonstration in Lyon in the same period. In these passages there is none of the earlier irony but a note of quiet mourning. This seems to aim at generating a sense of loss over the upheavals. The film ends with more footage from the home movie shot in China and then film of Mao Zedung and one of his poems. Finally we see the famous shot by the Lumière Brothers of workers leaving their factory: why I was unsure. “Sous les pavés, la plage! (“Under the paving stones, the beach.”)”. Was this a political slogan or an advertiser’s gimmick. At another point the commentary notes the predominance of short hair among the male protesters and compares this with the USA where the hair was longer and the events [according to the commentator] were more radical. It also notes the dominance of men in Paris 68, [not quite accurate if you watch the footage carefully]. The film offers a fascinating revisiting of these radical events. However it is structured round the personal rather than the analytical. In the end the significance of ’68 seems uncertain. I was struck by the inclusion of ‘The Prague Spring’. The other locations were significant for the director. His family came from Brazil, were living in Paris in May 1968 and his mother did visit China in 1966. But Czechoslovakia has no such relationship. I wondered, as Paris and Rio de Janeiro were protests essentially about capitalism that he felt the need to include a protest against ‘socialism’, in which case he misconstrues the significance of events in Prague. And I would question the comparison between Paris and the USA. Currently ‘PBS America’ are broadcasting the Ken Burns Vietnam programme, in its entirety not cut as was the case with the BBC. What is apparent in the film is that while many voices supported the Liberation struggle in Vietnam the mass of the protest was against the effects of the war within the USA. Paris was more radical. One aspect of this was the influence of the radical politics in China’s Cultural Revolution. We do get footage of Mao and we do see some Maoists at work in Paris but the parallels are not really drawn out in this film. Even so I was fascinated by the film which is definitely worth seeing. The research and selection of found footage is impressive. The structure of the film brings out interesting aspects and the editing makes both ironic and political comments. Among the footage in this film is some from the work of Chris Marker. His A Grin Without A Cat / Le fond de l’air est rouge (1977) remains the essential viewing on this period. It would be good if we could have an opportunity to revisit this film as well. The Radical Film Network has a calendar of events for RFN 68 on its webpages. And one can sign up to be kept informed and even participate. This post should celebrate Ken Loach receiving an Honorary Doctorate from the Université Libre de Bruxelles. I am not really sure what purpose Honorary Doctorates serve but I do admire Ken Loach’s film output and I am happy to see it celebrated. But this event has become clouded because of charges of anti-semitism against the filmmaker. Of course he is in good company: a host of committed supporters of the Palestinian National Liberation Struggle have been subjected to this type of smear. It appears for some media, including the Guardian newspapers, The Tablet weekly and the BBC, are happy to offer space to a dubious campaign protecting Israel from criticisms. The Guardian has printed a number of articles about the problem of so-called ‘anti-semitism’ in the Labour Party and the BBC regularly reports on the issue. Yet I have yet to see a report in the paper or hear on the radio a report about the Al Jazeera series that exposed collusion between staff at the Israeli Embassy and the Labour Friends of Israel, The Lobby. It seems that Ken wrote a riposte to one of his accusers, Jonathan Freedland, but that the Guardian declined to print it. The Jewish Voice for Labour has kindly done a service by publishing it online. It is ironic that the problem is usually that it is the right-wing film critics who attack Ken’s films. Those on The Wind that Shakes the Barley were prime examples. Now we have critics, supposedly liberal or left, attacking him. We had an example of the failure of Zionist supporters to argue about the actual words, images and meanings when I posted on Waltz with Bashir. There was a series of critical comment on my article but we never actually heard anything from the writer on the actual film. There is a long tradition of vilifying artists and writers who support resistance to oppression. We still await a film version of Trevor Griffith’s study of one great advocate, Tom Paine. Nearer our own times Jean-Luc Godard was among a number of French artists pilloried for criticising the French settler occupation in Algiers, Le petit soldat. Daniel Ellsberg was labelled the ‘most dangerous man in America’ by Henry Kissinger. The misuse of ‘anti-American’ for criticising US foreign policy parallels the misuse of anti-semitism. Such critics would be better occupied critically viewing video film of Palestinian unarmed civilians shot in the back outside the borders of Israel. Natalie (Gianina Arana), Su (Chen Jianbin) and Pipi (Chen Yinuo) out together. This film was screened in Bradford as part of the UK’s ‘China Film Week’. Bradford was the first UNESCO ‘City of Film’ and is now linked to the similar UNESCO City of Film in Qingdao. The screening was introduced by David Wilson, Director Bradford City of Film and then by the film’s writer Li Chunli. I wasn’t sure what to expect but after watching it, I think When a Peking Family Meets an Au Pair was in some ways the right choice, but in other ways an unfortunate choice. Ms Li told us that this was a ‘family film’. It was advertised as a comedy and it came across as a family melodrama with a strong comedy element. I’m not sure why a film from 2014 should be chosen, but the film’s theme is certainly contemporary and, perhaps surprisingly, it is shared with Jia Zhang-ke’s Mountains May Depart (China-Japan-France 2015) and has a long history going back to Clara Law’s Farewell China (HK 1990) and earlier. I’m referring to the aspiration of many middle-class Chinese families to emigrate to the ‘West’ for various reasons – and in particular to think about taking their children (or more likely ‘child’) with them to receive a ‘good’ education. This desire has been caught by Qin (Xu Fan), who after fifteen years of marriage to Su (Chen Jianbin), decides that she must prepare to get a job abroad and that her small daughter Pipi (Chen Yinuo) would benefit from the presence of an au pair who speaks English – help with Pipi is also needed because both parents work long hours. Interviewing candidates from around the world she selects Natalie (Gianina Arana), a bubbly young woman from Colombia who speaks good English and passable Mandarin. The problems begin soon after Natalie arrives. Pipi is being brought up like a little ‘princess’ who is only allowed out in taxis, never public transport. She has organic fruit and her soup is filtered to remove fish bones – and so on. Natalie is a free spirit who likes to play with children and to ‘set them free’. Qin is a make-up artist for film and TV. Her husband (who often sides with Natalie) earns less than his wife as a producer of traditional Peking Opera. Together their salaries can barely pay for the extravagant style of Pipi’s upbringing. It gets worse when Qin signs on with an agency that promises to find her a job abroad (for a substantial fee). At one point Qi meets an old friend who is briefly home after migrating and who tells Qin of the stress she suffers. Qin (Xu Fan) and Natalie have an emotional reconciliation. The comedy comes from the clash between Qin and Natalie and their ideas about how to raise children – and the mayhem that Pipi is capable of creating as a result. Dad remains in the background but the marriage is clearly suffering and this provides the drama alongside some of the dangerous consequences of the au pair situation. As Natalie points out, if Pipi is always wrapped in cotton wool, she won’t be able to survive in the real world outside. Shu does however chide Natalie at times, pointing out that there are reasons why Chinese families do things that she doesn’t understand. Natalie is a ‘typed’ foreign character and mainstream Chinese films suffer from this kind of typing in the same way as Hollywood and European films. It’s useful, I think, that UK audiences are able to reflect on this. As well as the migration issue, the film picks up on other topical issues like the traffic jams in Beijing, but overall this is the tourist view of affluent China which says little about the rest of the country. It also demonstrates how Chinese comedy films exaggerate awkward situations to develop broad comedy potential with forms of slapstick. I didn’t notice any reference to Natalie’s racial difference but she is typed as being materialistic and individualistic in her approach to life – wanting to be the richest and most successful. Qin acts as if she wants to be the same but recognises that this might be unacceptable. There is an interesting set of questions about ideology here. But while the content of the film may be a useful insight into aspects of the lives of the Beijing middle classes, the presentation of the film might be more of a shock for UK audiences. I’m familiar with DVDs of Chinese and Hong Kong films and the practice of subtitling in English and Simplified Chinese and I’m used to subtitling generally. But in this case, the very rapid cutting between characters speaking quickly was at first difficult to follow. Overall, the editing in the film seemed to struggle to hold the narrative together. This is odd because as far as I can see the film’s editor, Zhou Xinxia, is the only really experienced head of department in a crew working with an inexperienced director and writer. Perhaps it is the use of music which underlines all of this. Every scene is scored to underline the changes of mood from comedy to romance to drama. The non-diegetic music is relentless and the abrupt changes of musical style are jarring. I’m afraid that the film doesn’t represent the high quality of much of the mainstream (and arthouse) cinema produced in China today. Perhaps the industry has just grown too quickly? We were told that the film featured many well-known Chinese star actors. As far as I can see, most of them are in minor roles. The exception is the lead pair Xu Fan and Chen Jianbin as the parents in the family. Xu Fan has a thankless role as the mother but I found the father to be the most interesting character. Chen Jianbin once featured in Jia Zhang-khe’s 24 City (China-Japan-France 2008). When a Peking Family Meets an Au Pair has shown twice now in the UK and I found another screening advertised in Belgium. I’m assuming that the Chinese cultural agencies have sanctioned these screenings for the China Film Office whereas an independent Chinese film would not have been deemed suitable. (Ironically the music recording in the film was listed as being carried out in Singapore and Taiwan.) We might at least have been offered a Feng Xiaogang film (in which Xu Fan has played leading roles in the past) or something from another mainstream director of standing. Still, I’m glad I attended the free screening and I hope for good things from the Bradford-Qingdao partnership. I’m against the idea of ‘Best Of’ lists, no matter how they are compiled. I just want to remind myself of the films I saw in 2016 and which ones I enjoyed most and hope to remember or return to in the future. This year I saw over 100 films in a variety of cinemas and probably as many on DVD or recorded from TV. This year, for the first time, I also watched a few films online, mostly for work purposes. Wherever possible, I prefer to see a film on a cinema screen. In my selection below, I’ve chosen just from films on release in the UK in 2016 and I’ve excluded festival screenings and archive films unless they made it into (re-) distribution this year. Rams (Hrútar, Iceland-Denmark-Norway-Poland 2015) This was the surprise arthouse hit of 2016, perhaps helped in the UK by the success of the crime serial Trapped on BBC4. Though quite different as a narrative, the TV serial (watched by perhaps a million viewers) may have piqued interest in Icelandic stories. Court (India 2014) An astonishing début feature that offers a satire about the Bombay court system explored through the lives of a judge and two barristers engaged in the kind of case that clutters up the courts for no good reason. 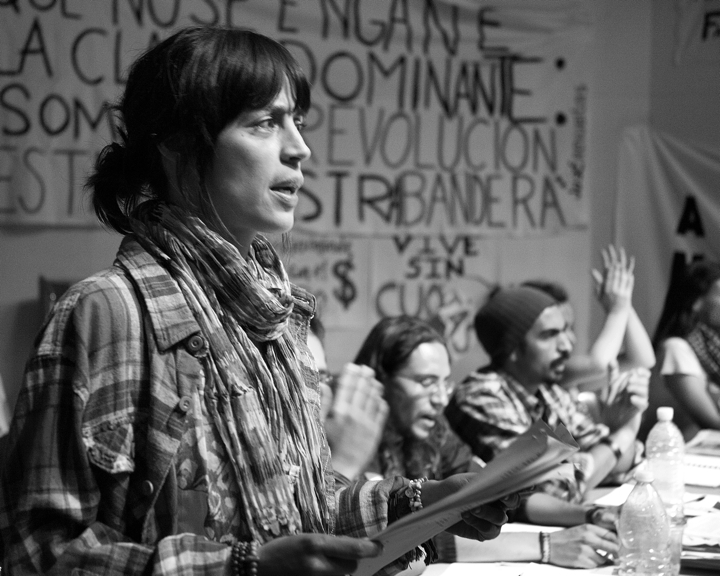 Güeros (Mexico 2014) Actually released in the UK in November 2015 but still making its way round community cinemas in early 2016, this beautifully shot (black & white, Academy ratio) film is both nostalgic for 20th century ‘New Wave’ cinema and at the same time ‘modern’ in its feel for aspects of Mexican film culture. Sweet Bean (An, Japan-France-Germany 2015) Although too ‘sweet’ for some critical tastes, this film by Naomi Kawase seemed to me to tell its simple story very well and it delighted those audiences perceptive enough to pick it out. Our Little Sister (Umimachi Diary, Japan 2015) This film probably gave me more pleasure than any other I saw in 2016. Kore-eda Hirokazu consistently scores for me and I always try to see his films. Two of the excellent performances in Sweet Bean above came from actors associated with Kore-eda. The Pearl Button (Chile-France-Spain-Switzerland 2015) This was the film which impressed me most at the Glasgow Film Festival early in 2016 and again on its UK release a few weeks later. The detailed presentation of social and political history is important, but especially so when presented with such creativity. Hell or High Water (US 2016) I enjoyed this film immensely and I include it here simply because it represents a return to a form of genre filmmaking for adult audiences that has been missing for far too long in American cinema. Les innocentes (France-Poland 2015) This film, about a community of nuns attacked and assaulted by soldiers and then supported in recovery by a French doctor, had a powerful emotional effect on me. In a strange way it seemed to link to the smaller community of women in Our Little Sister, whose problems were less traumatic and life-threatening. In both cases I wanted to know more about the communities. Anne Fontaine is a remarkable director. A United Kingdom (UK-US-Czech Republic 2016), L’avenir (Things to Come, France 2016) and Arrival (US 2016) are films released in the UK in last three months. I found all three to be riveting viewing and I intend to write about them at some stage. They each raised different ideas in their storytelling and their use of ideas. The eleven titles here include four directed by women and since I didn’t make my selection on gender criteria that is a hopeful sign that more films by women are getting into distribution. There are two films by Japanese directors, two by Brits and two by French directors (both women). I don’t see many American films these days and the two American films listed here were directed by a Canadian and a Scot. I’m disappointed there are no Chinese films and only one Indian film. Partly this reflects the quality/appeal of the commercial releases available from these territories and partly the lack of theatrical releases for independent films from South Asia and East Asia in the UK. I did consider putting Raman Raghav 2.0 (India 2016) on the list and I did enjoy aspects of the latest Rajnikanth film, Kabali (India 2016) but mainstream Hindi films didn’t really attract me. In 2016 I still managed to find the major foreign language films on release, but the number of cinemas showing them continues to shrink. Films released by Curzon Artificial Eye rarely turn up at Picturehouse in Bradford and I’m now even more reliant on trips to HOME in Manchester. Over the Christmas period, foreign language cinema seems to have disappeared completely – on cinema screens and TV. I fear the situation will only get worse in 2017. One slight cause for hope is that the Odeon circuit seems to have expanded its releases of mainstream Chinese and Polish films as well as generally offering more diversity than the other multiplex chains. 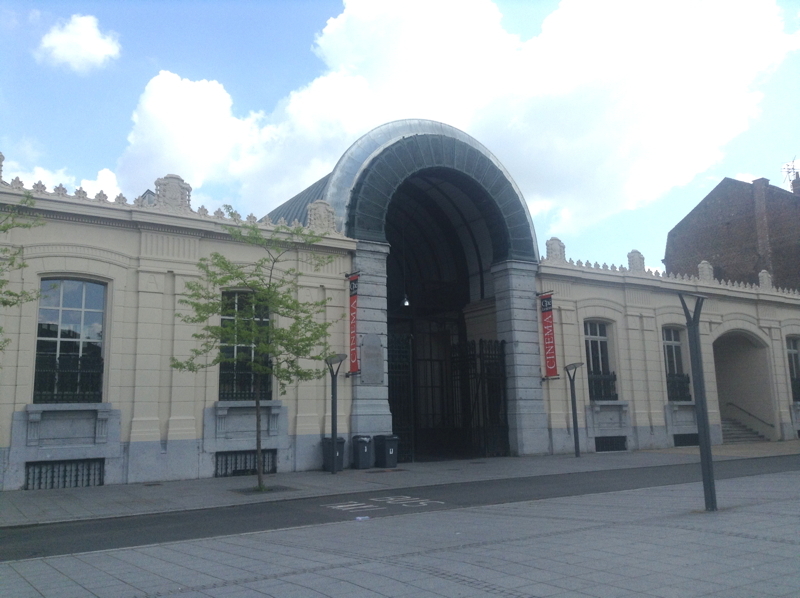 The UGC Cine Cité multi-screen cinema in the centre of Lille. France has the largest cinema market in Europe with annual audiences consistently above 200 million. Given that France and the UK have roughly the same population, the extra 30 million plus admissions in the former are worth exploring in terms of differences in exhibition structure and practice. On a simple level, France has more screens per head of population suggesting that French audiences have more choice and a shorter distance to travel, wherever they live, than their UK equivalents. 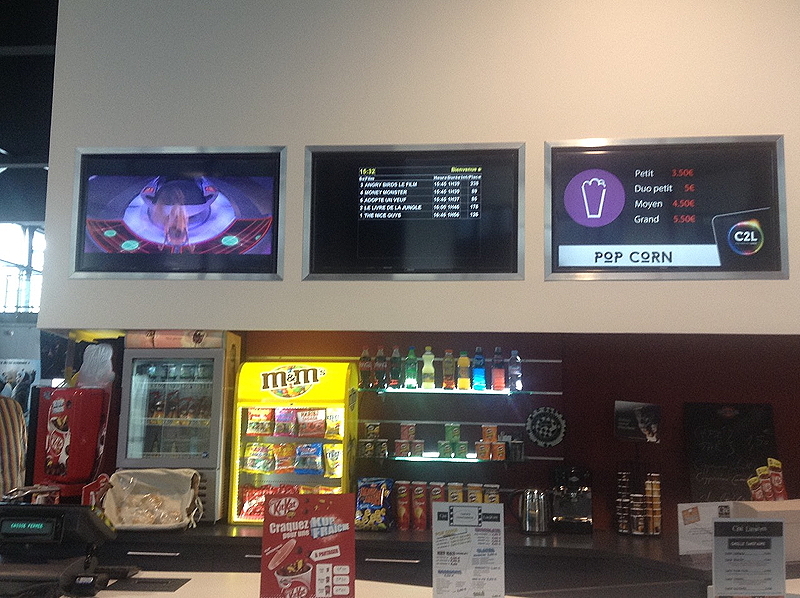 It isn’t so much the number of screens, however, but the number of cinema sites. My impression from these figures (and trips to different parts of France) is that more small cinemas have been retained in small towns in France. In larger towns/cities, existing buildings have been more carefully preserved and turned into small multi-screen venues. 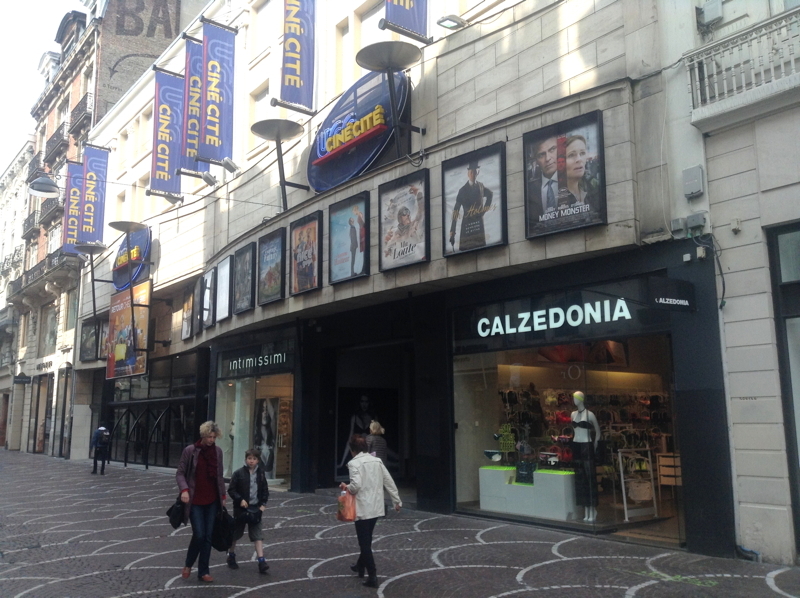 Multiplexes seem to have been built in France on out-of-town sites or in new shopping developments, but certainly not on the scale that this has happened in the UK. 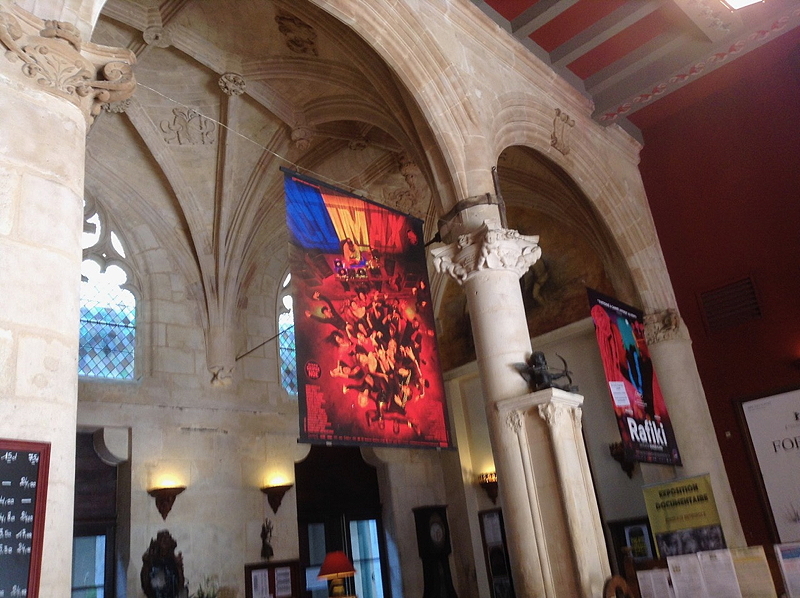 The cinema built inside the old Chamber of Commerce building in Armentières first built in 1881. 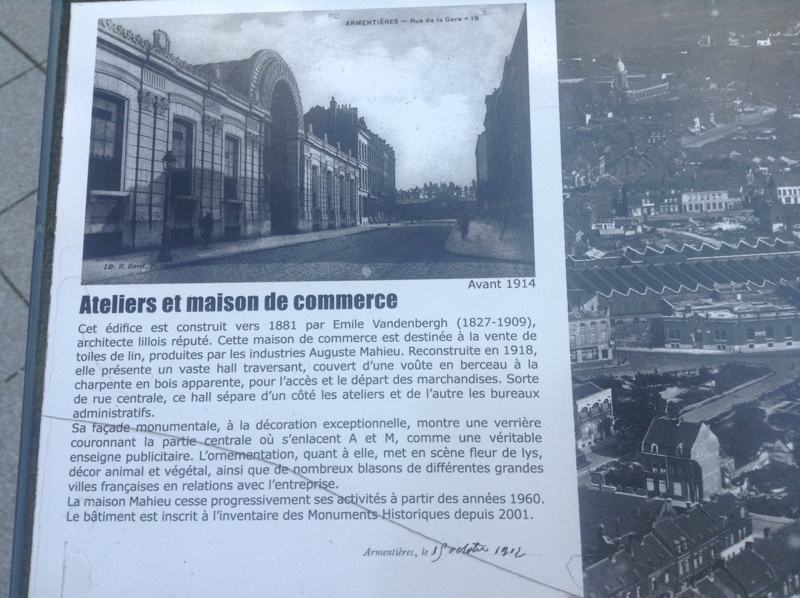 This information display outside the cinema shows how the area was before 1914 with the same building in different use. The cinema is now a multiplex showing popular French and American films on its five screens. Armentières is a small town in Picardy with a population of 25,000 within commuting distance of Lille centre. The French system puts much greater emphasis on the ‘cinémas art et essai‘, the official designation of the French version of specialised cinema, with emphasis on the concept of art cinema. Each year there is a published list of ‘approved’ films and cinemas that screen these films are able to apply for the ‘art et essai‘ designation which enables them to receive public support. In 2015, 1159 cinemas received the designation (see http://www.art-et-essai.org/7/le-classement-des-salles). The total support came to €14.5 million euros. 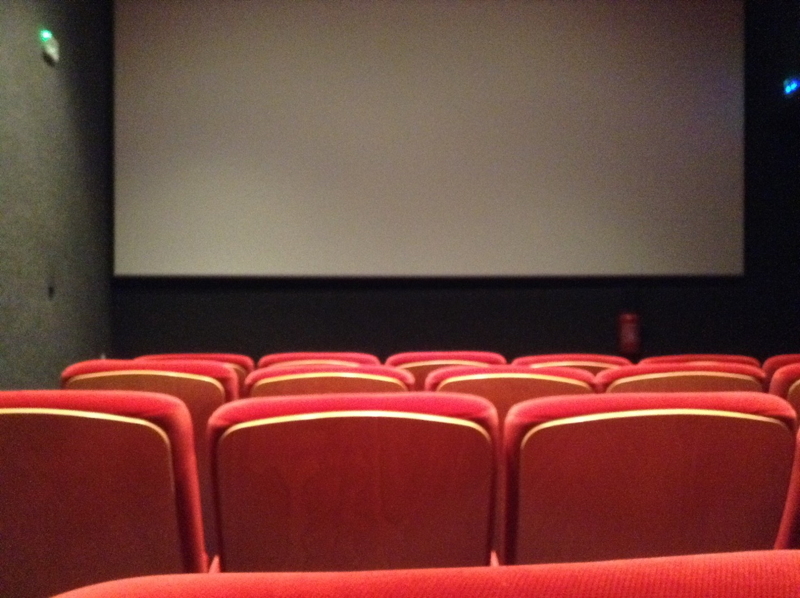 With 20% of cinema screens subsidised in this way, it’s no surprise that French audiences have easier access to cinema. I do note that the art et essai cinemas are not evenly spread. The figures suggest that the ‘Lille Region’ had only 48 such screens in 2015 while other regions such as Lyon and Bordeaux had over 200. Lille, France’s fourth city/urban region has only three cinemas in the city centre, all of which show a diverse range of films. The real distinction between types of cinemas in France comes with the approach to dubbing. Given that American films had 52% of the market with French films at 35.5%, over 60% of films originated in a language other than French (CNC 2016) – the exact figure depends on how many ‘non-French’ films actually came from francophone countries and how the CNC (Centre national du cinéma et de l’image animée) defines a French film. France is one of the four largest European language groups that supports a professional dubbing industry. As in Italy, Germany and Spain (i.e. the FIGS group), all foreign language films can be dubbed into French. 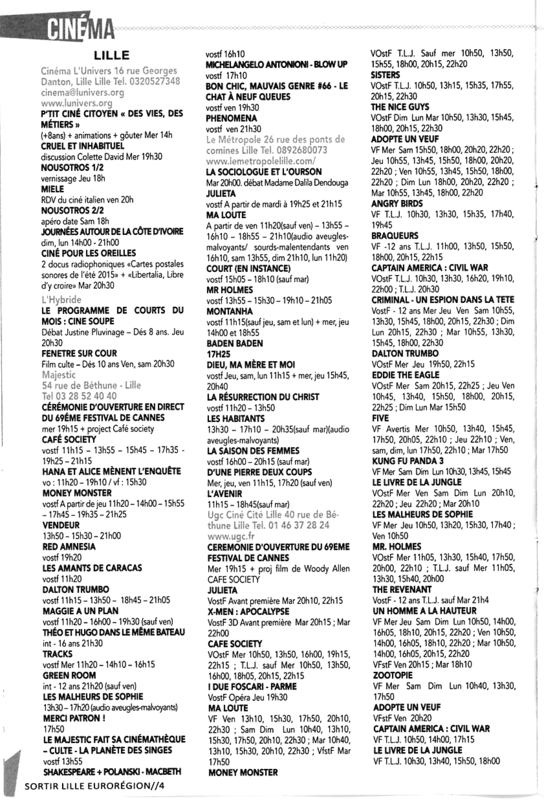 Cinema listings show these dubbed films as ‘VF’ (version française). Native French films are also described as VF. ‘VO’ is ‘version originale’ and usually means that the film is subtitled in French, so ‘VOST’ (version originale sous-titrée) or ‘VOSTF’. As the illustration here demonstrates, an out of town multiplex may dub everything not in French, but cinemas in the centre hoping to attract a cinephile audience will play non-French films as ‘VOST’. Children’s films that are not in French, especially animations, will however be dubbed everywhere (as they are in nearly every cinema market). 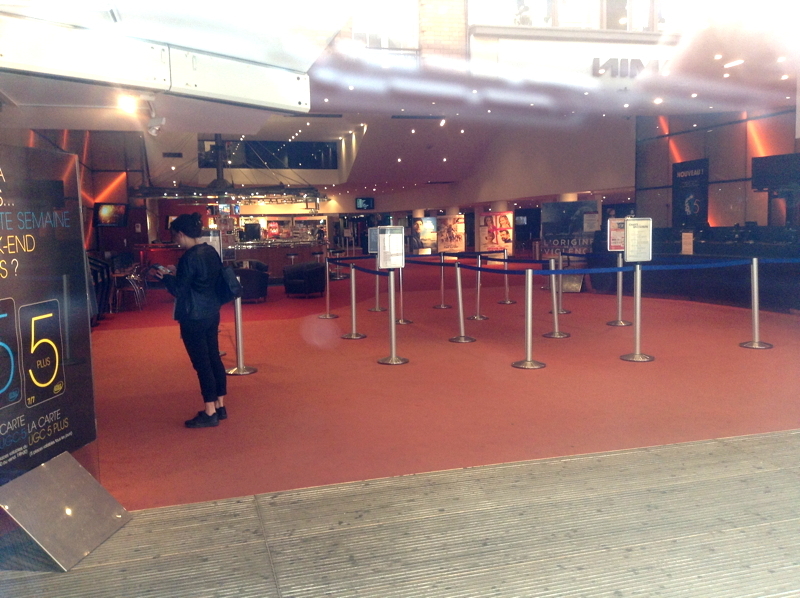 A peek through the glass doors of the UGC Ciné Cité in the morning. Two of the Lille cinemas shown in the listings mag above (i.e. Majestic and Le Métropole) focus primarily on specialised titles but the UGC (see photo above) covers both specialised and mainstream, showing US blockbusters in both dubbed and VOSTF versions. The other two cinemas listed on this page are specialised cinemas for young audiences (L’univers) and for independent film/shorts/documentary (L’Hybride). I find the cinema offer in the centre of Lille to be more diverse than in UK cities of a similar size. I was struck by how comfortable and welcoming the foyer of the UGC seemed to be compared to the soul-destroying emptiness of my local Cineworld in Bradford. Ciné Sémaphore is the art et essai cinema in the centre of the old city of Nîmes in Southern France which is currently seeking UNESCO World Heritage status. Nîmes has a population of around 146,000 yet it supports this six screen artplex plus a four-screen traditional cinema, Kinepolis ‘Forum’, also in the city centre, and a modern suburban Kinepolis multiplex with 12 screens. The Sémaphore is a cinephile’s dream. The six ‘salons’ come in different sizes and seat 654 in total. I visited one of the smallest (40 seats) and a slightly larger 90 seat screen. There is a pleasant café bar with a good selection of food and the ticket prices are a reasonable €7 (with a full array of the usual discounts). It produces an excellent monthly brochure which includes events for children, students and community groups. Later I discovered that the cinema is one of five owned by the arthouse distributor Haut et Court, having been bought last year – though it still has the feel of a locally-controlled cinema. I also learned that the Sémaphore (which has been open for 38 years) holds an annual ‘British Screen Festival’ in March each year, organised by volunteers – see this English language website. 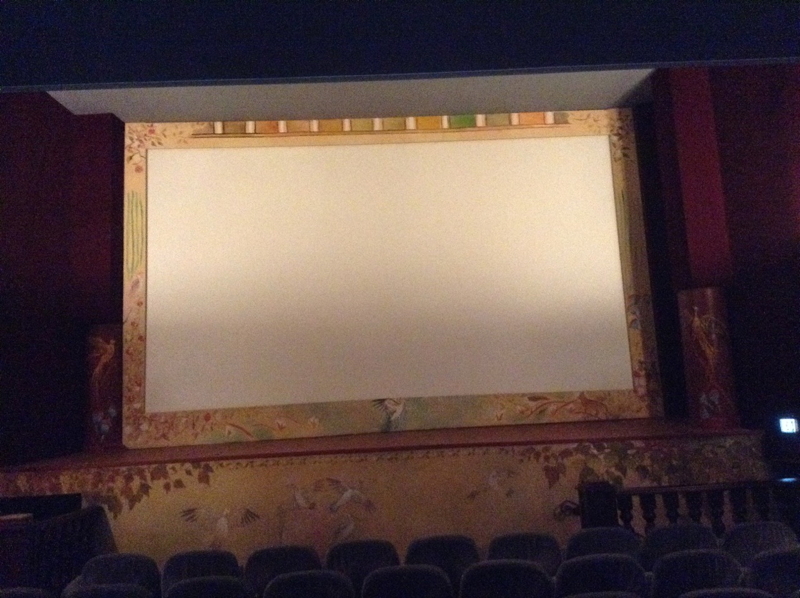 Sémaphore Cinema, tucked away on a side street – but well worth discovering. My experience watching two films in the Sémaphore mirrored my experience in similar cinemas in other parts of France. In the UK we are used to programmes, even in art cinemas, with up to 20 minutes or more of advertisements, trailers and cinema announcements. Increasingly these ‘preambles’ are shown with the houselights partly up (a horrible state of affairs that damages viewing conditions in otherwise good cinemas). As a result, many of us attempt to enter the auditorium at the last minute to avoid the ads. When we arrived a minute or two after the stated start time in the Sémaphore screen, we stumbled into pitch darkness. With difficulty we found the empty few rows at the front. The feature started almost immediately after just one trailer and proceeded in almost complete dark. What a relief after the compulsory bright ‘exit’ lights and seat guidance lights in UK cinemas. I’m not sure how French Health & Safety regulations work but French cinema operators would struggle in the UK. I think the French approach is to make the audience responsible – i.e. to take their seats before the lights go down. Sémaphore Salon 5 – comfortable seats, good-sized screen and a great image in the dark! A model of what a biopic should be and combining intelligence with mainstream production values. The film’s intensity was increased by the use of an unusual aspect ratio. A great combination of noir and Kurt Weill. A pleasure to watch, but serious with it. A Pigeon sat on a Branch and Reflected on Life (En duva satt på en gren och funderade på tillvaron) Sweden, Norway 2014. The film manages to be both droll and surreal at the same time. The first intelligent film about jihadists and the best football sequence in years. Slow, elegant and very complex: the acting performances of the year. Subversion was rarely so witty or so much fun. Slow and with a tricky plot, but visually and aurally stunning. What other praise than this is as good as the Patricia Highsmith original novel. Beautiful traditional animation: lovely dog. White God (Fehér isten) Hungary 2014. The largest and the most impressively led pack of dogs seen in ages. Frederick Wiseman’s typical and completely absorbing portrait of a British artistic institution. The pleasure of watching radical documentary form: unfortunately it has had only a limited screenings. The best portmanteau film of the year and my most hilarious moments in cinema. This screened at Le Giornate del Cinema Muto in a fine restoration, which ran for six hours: about the time you needed to read part one of the book. This was the Benshi, Ichiro Kataoka, who accompanied Chuji Tabinikki / A Diary of Chuji’s Travels (Japan, 1928) along with the Otawasa Ensemble. This was another fine restoration also screened at Il Giornate del Cinema Muto. Tell England UK 1931 screened at the British Silent Film Festival and demonstrated that how well some filmmaker used the new technology. The Promised Land (Ziemia obiecana) Poland 1975. Director Andrzej Wajda’s epic of C19th capitalism in Łódź. And the series of Polish classics, partly organised by Martin Scorsese, was excellent. Both films had proficient technical aspects but both were idiosyncratic biopics, which showed little interest in the situation of the subject.